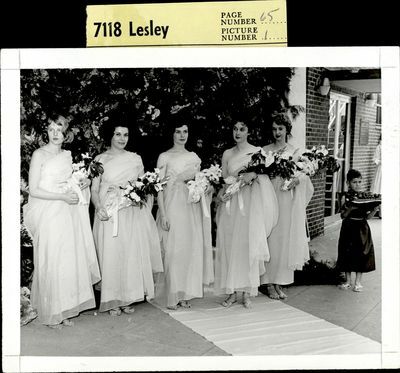 "Students Standing with a Child, May Day 1962"
Five women in white dresses stand together. Each one holds a bouquet of flowers. A small child in a black dress also holds an open book. NOTE: Image can be found in Lesleyan, 1962.